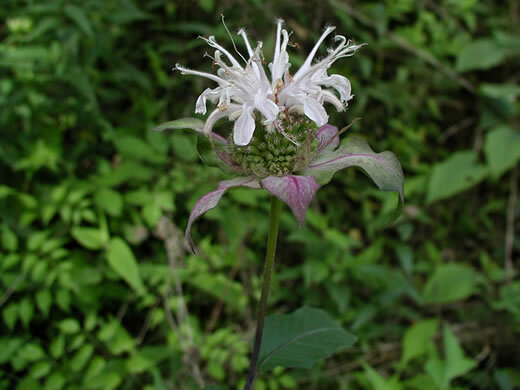 Outer bracts green or reddish, depending on variety, per Weakley's Flora. 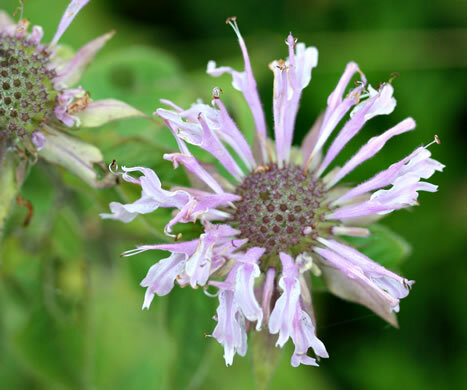 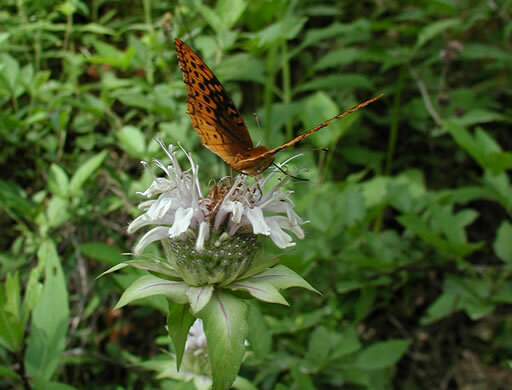 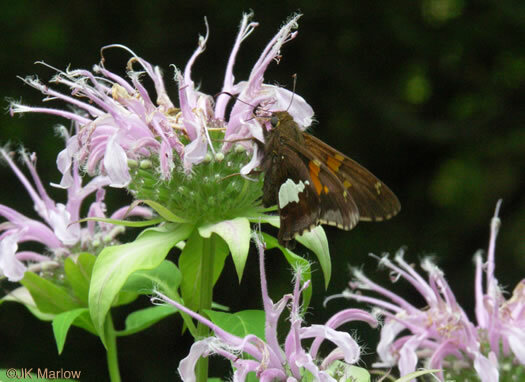 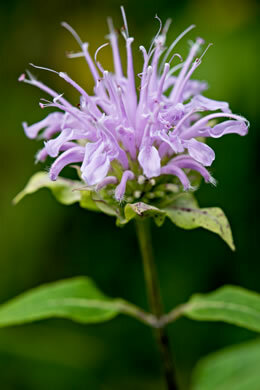 A tuft of hairs at tip of the upper lip sets this apart from other Monarda, per Wildflowers of the Southern Mountains. 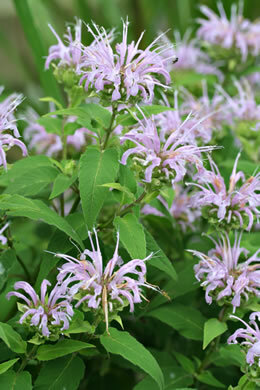 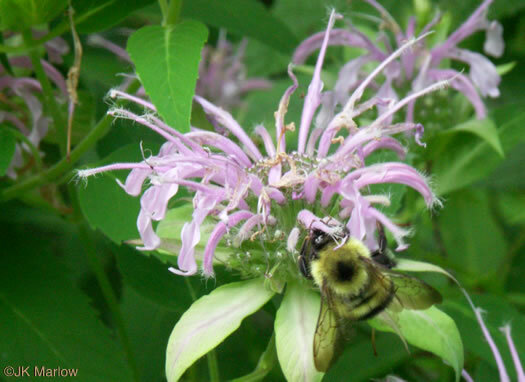 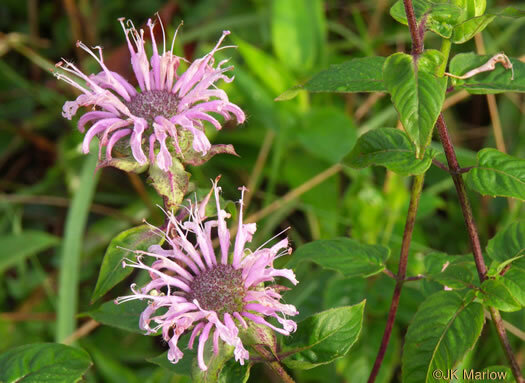 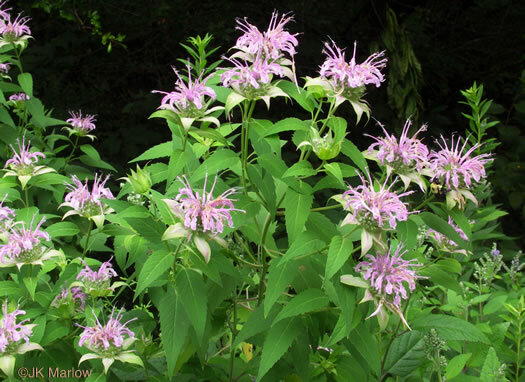 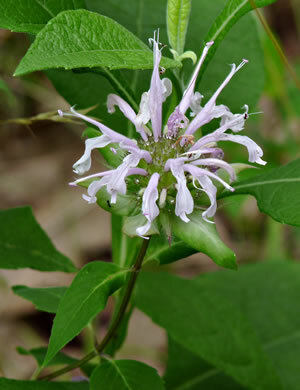 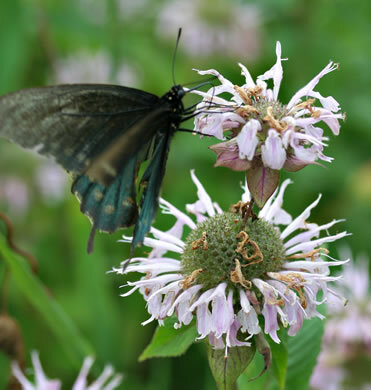 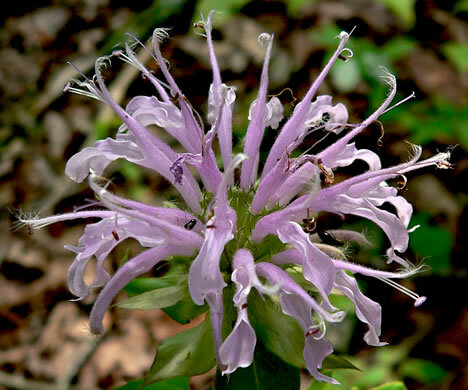 Bergamot's chief pollinators are bumblebees and butterflies, per Book of Field and Roadside. 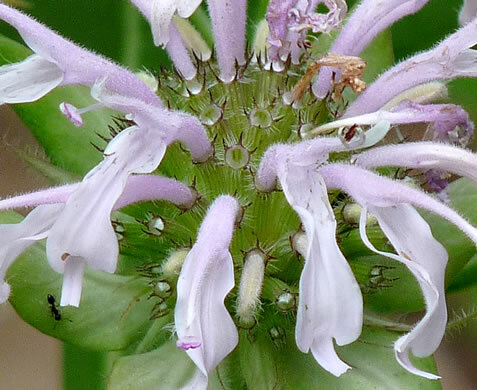 Each floret is bisexual, its color attracting long-tongued pollinators, per Book of Field and Roadside. 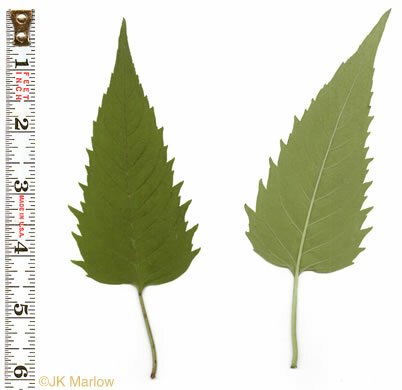 Leaves deltoid-lanceolate, base slightly tapered to truncate, ~ serrate, per Wildflowers of Tennessee, the Ohio Valley, and the Southern Appalachians. 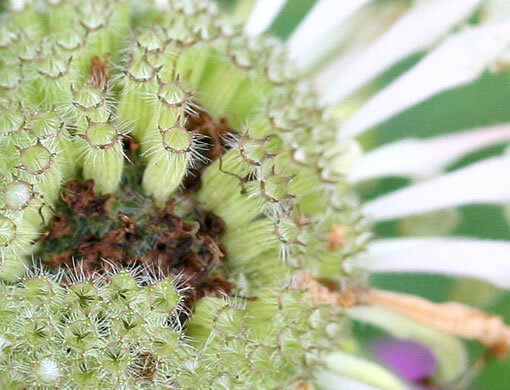 Florets develop progressively from center of cyme outward, per Book of Field and Roadside. 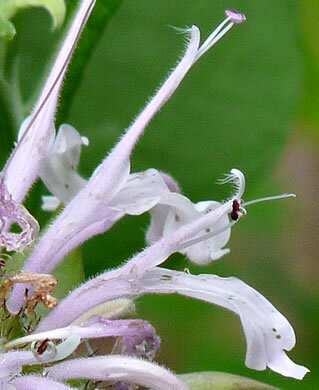 The final stage is a bald central cyme ringed by a fringe of florets, per Book of Field and Roadside. 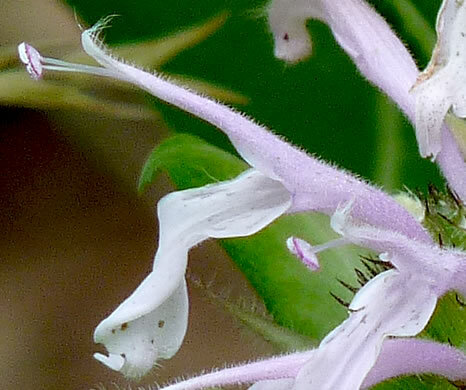 Orifice of the calyx densely hirsute with numerous erect, stiff, white hairs, per Weakley's Flora.